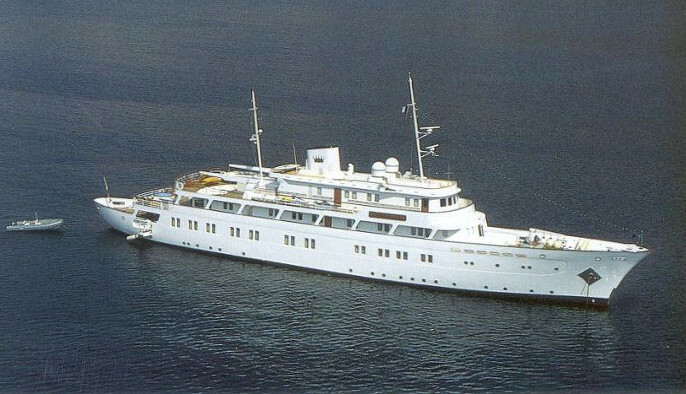 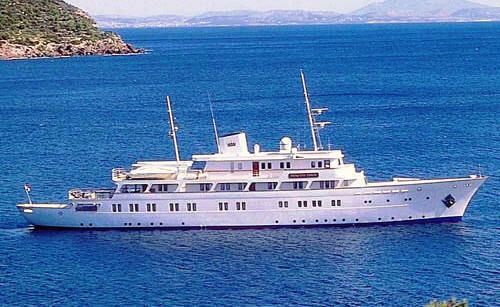 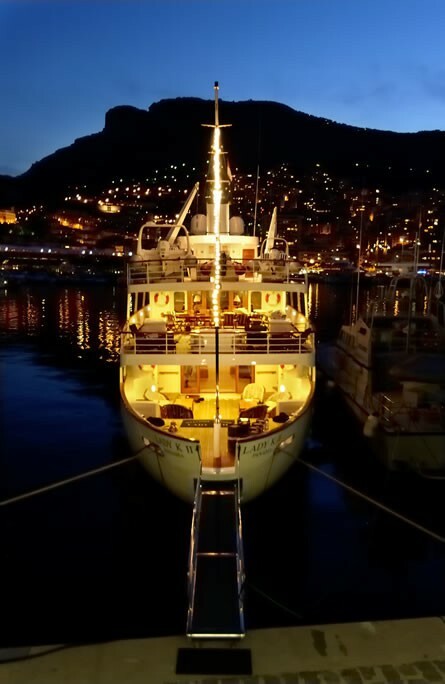 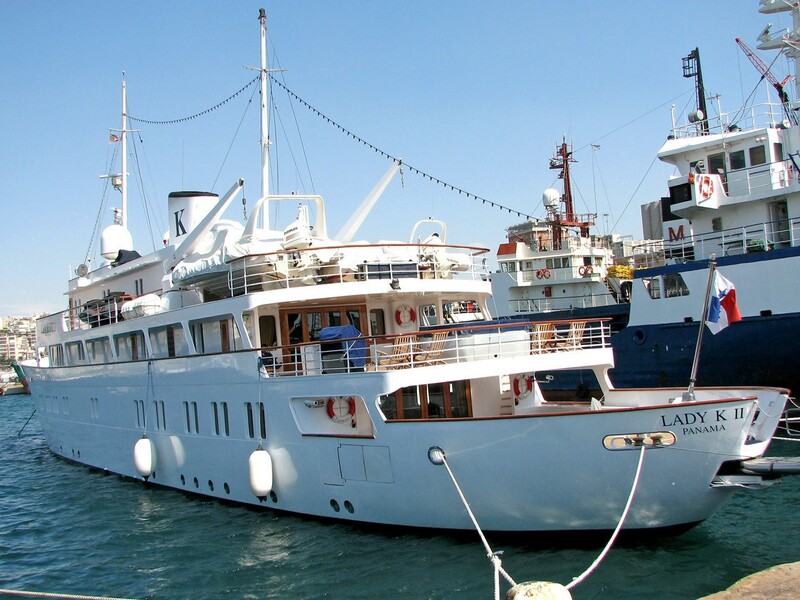 LADY K II (ex Princess Tanya) was originally built in 1961 by Austin & Pickersgill in England for one of the worlds most famous shipping tycoons. 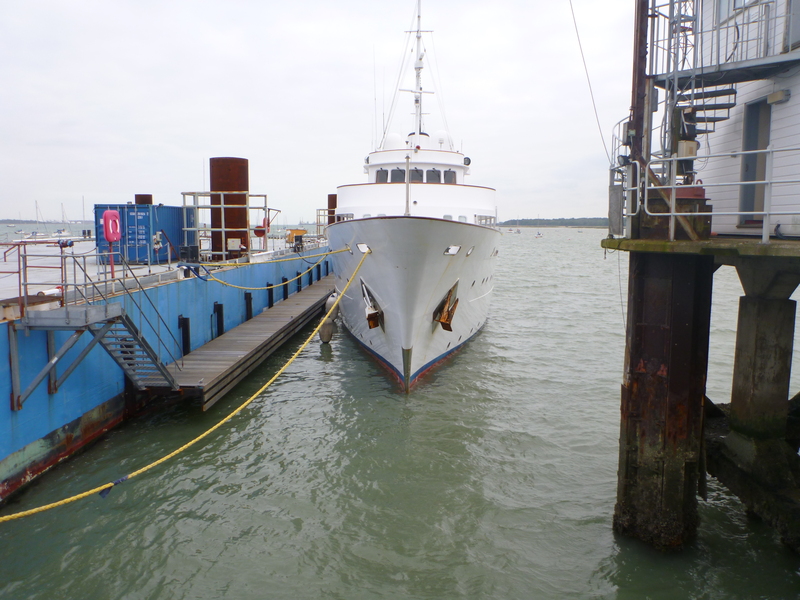 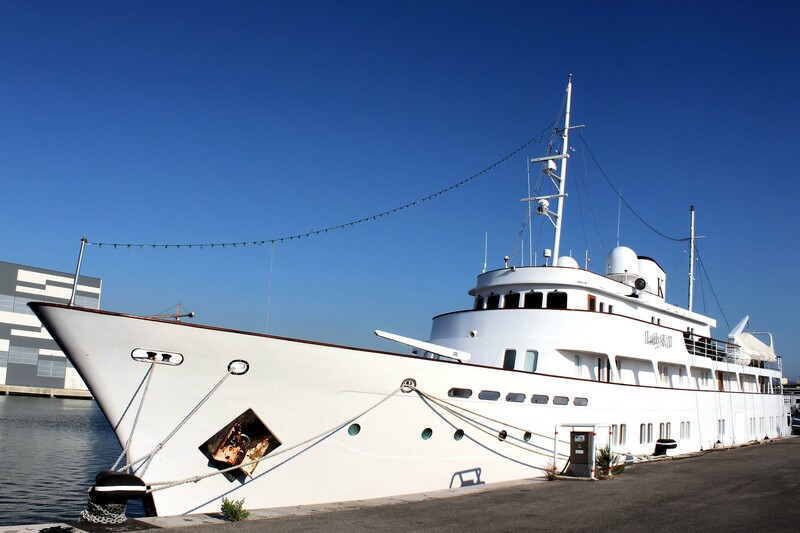 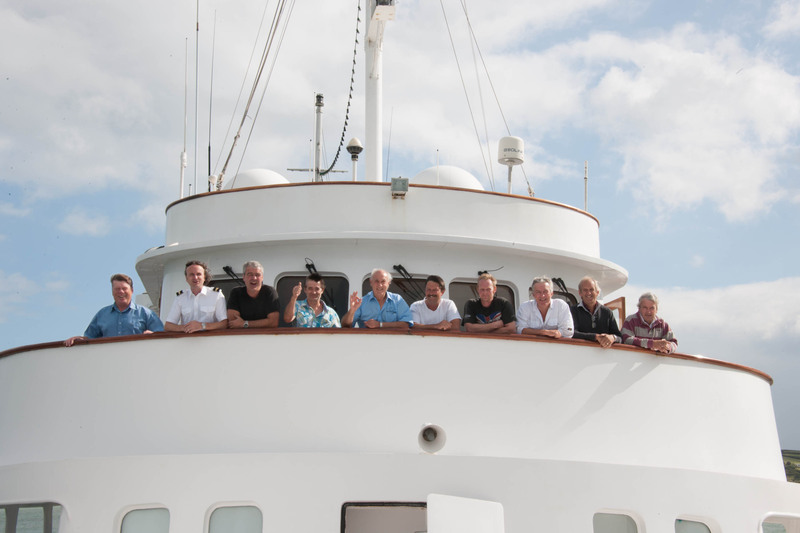 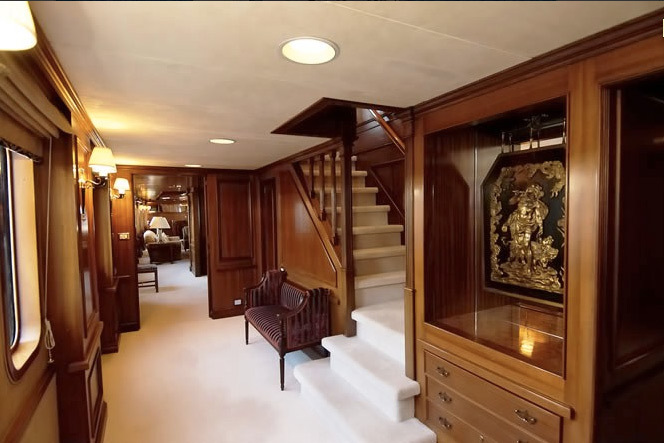 This motor yacht has now been lovingly restored after a refit in 2015. 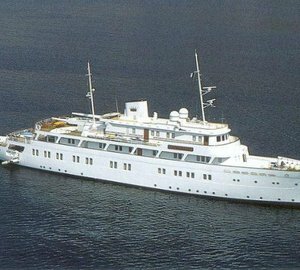 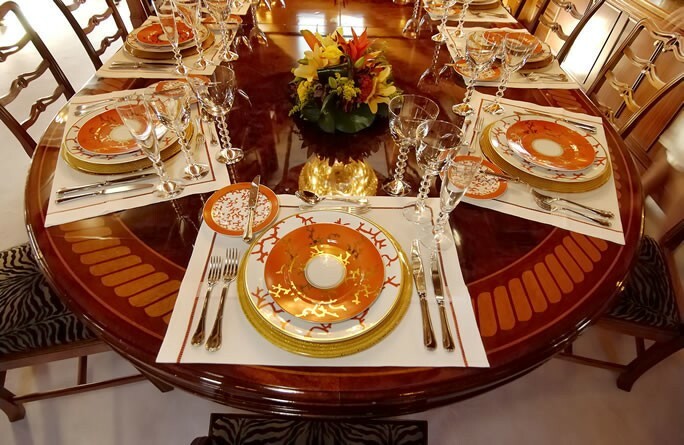 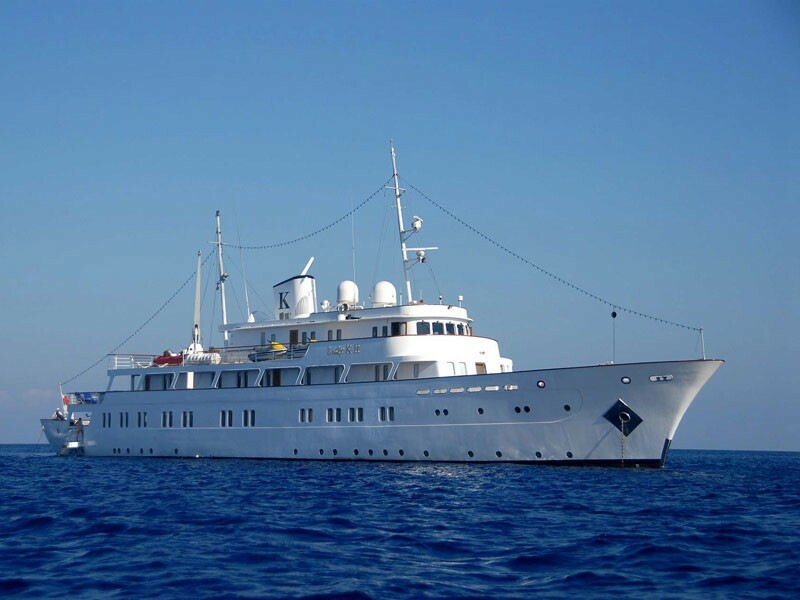 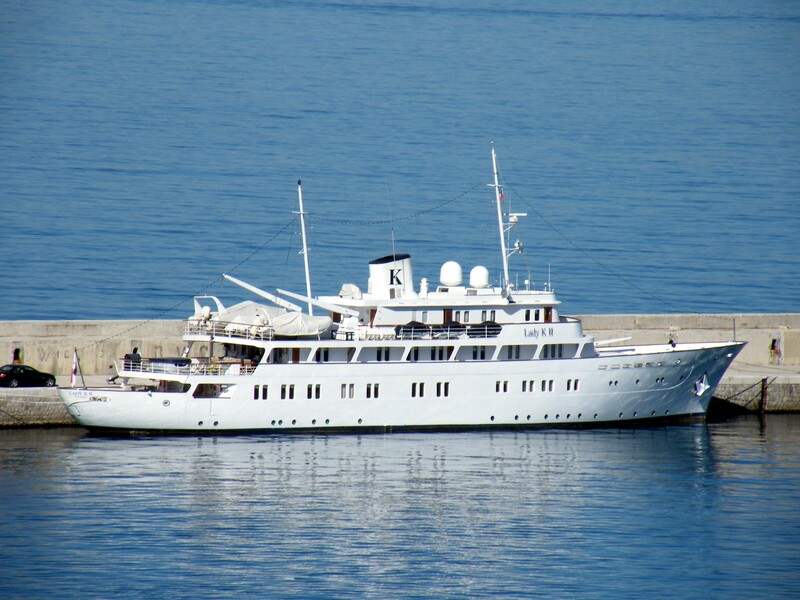 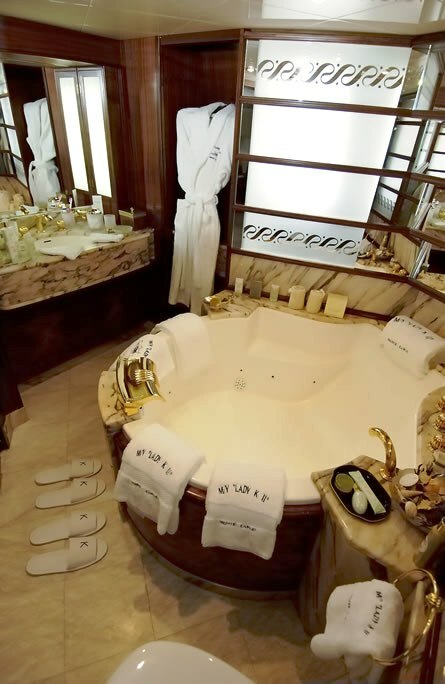 She can accommodate 18 guests in complete luxury and comfort. 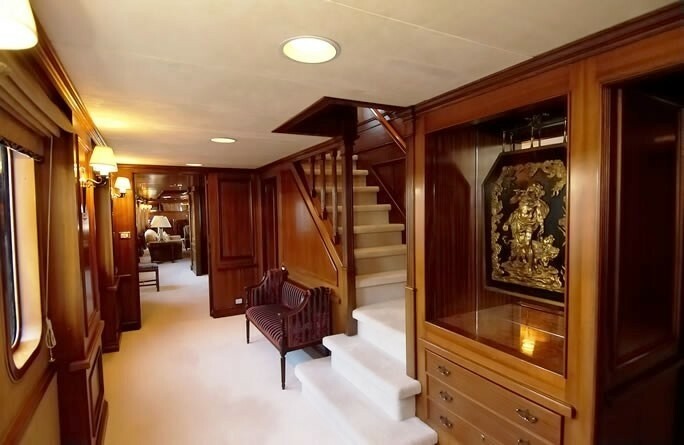 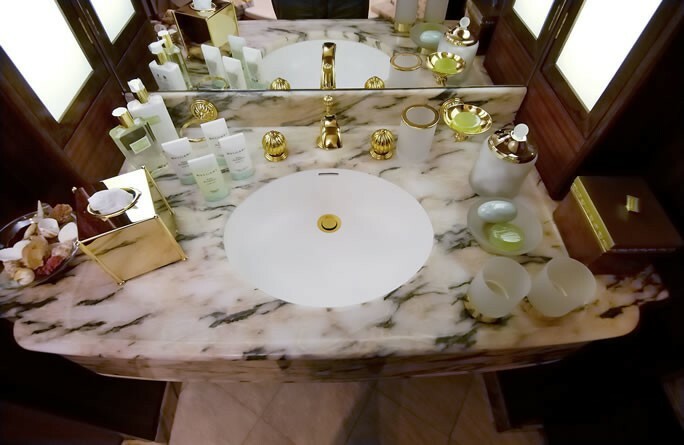 The beautiful paneled interior includes large reception areas and sumptuous accommodation in nine double guests cabins, plus a private gymnasium and beauty salon. 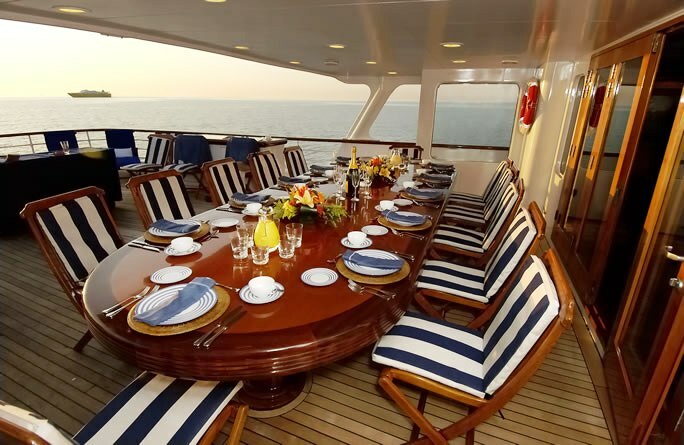 Her large deck and comfortable seating make and immediate impression. 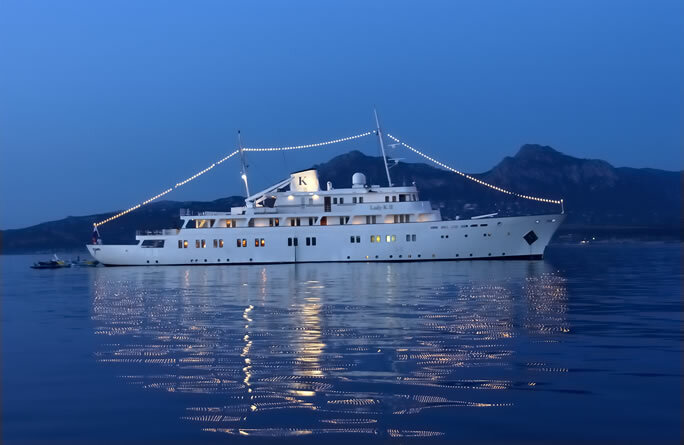 She has classic lines and a stylish exterior. 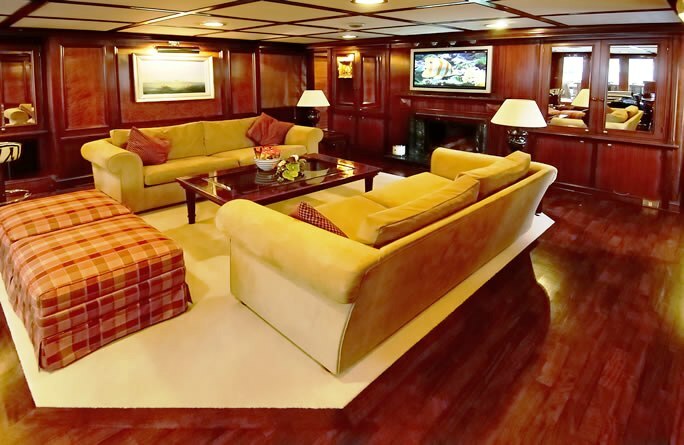 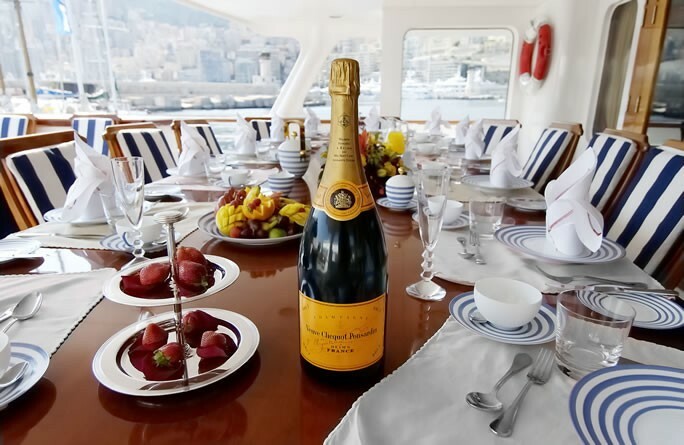 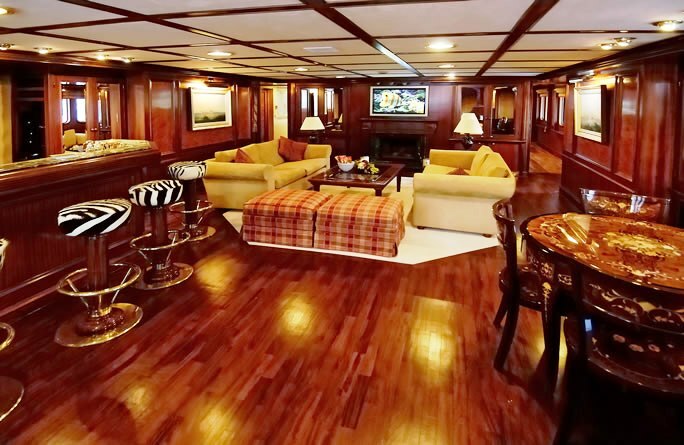 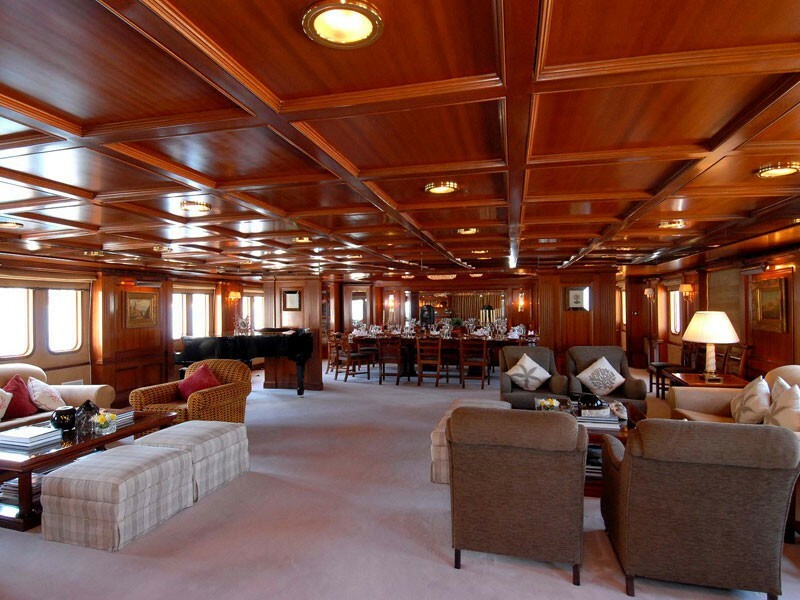 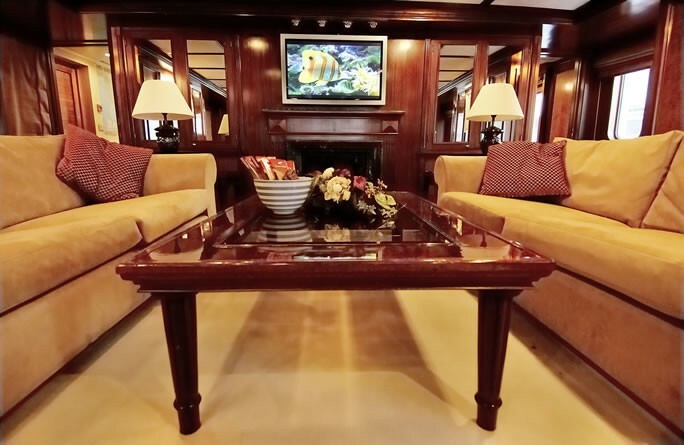 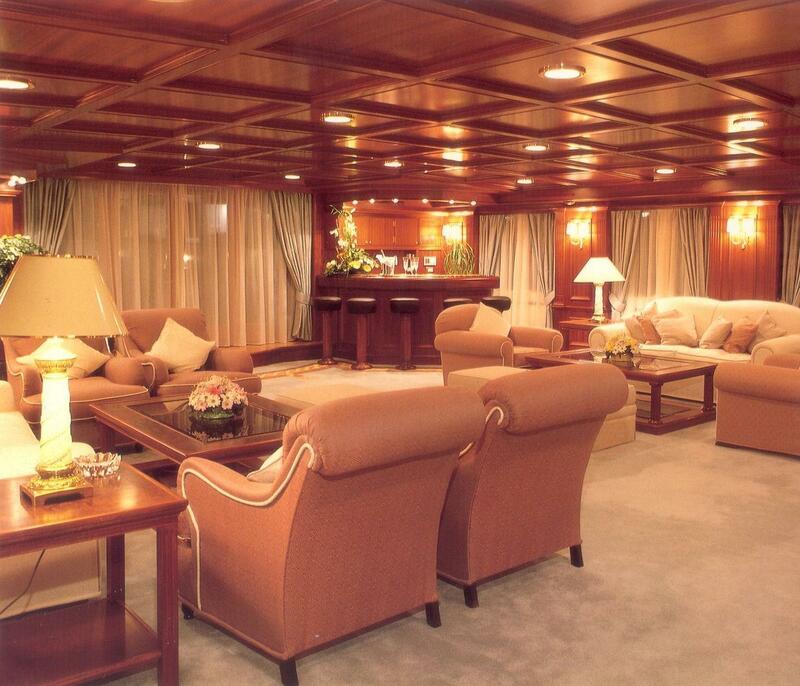 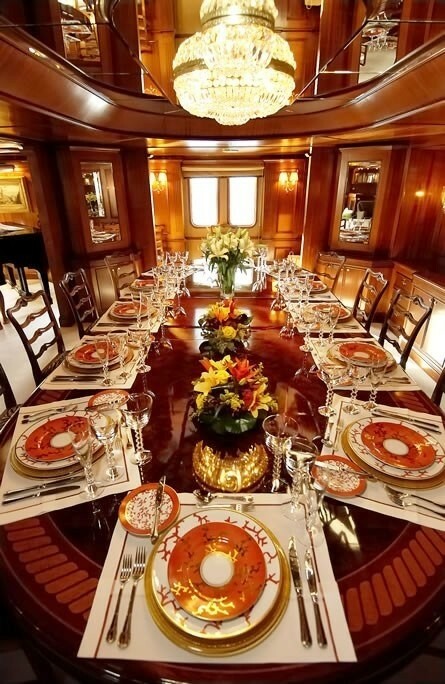 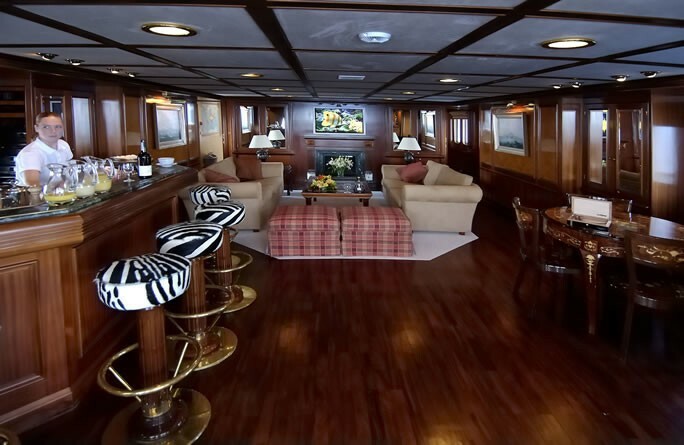 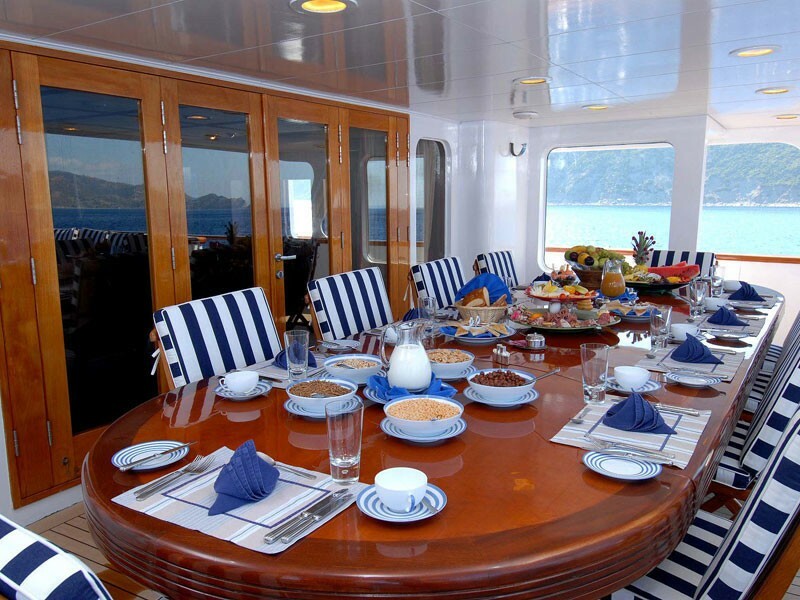 The large main saloon has an integrated bar and dining area that spans full beam of the yacht. 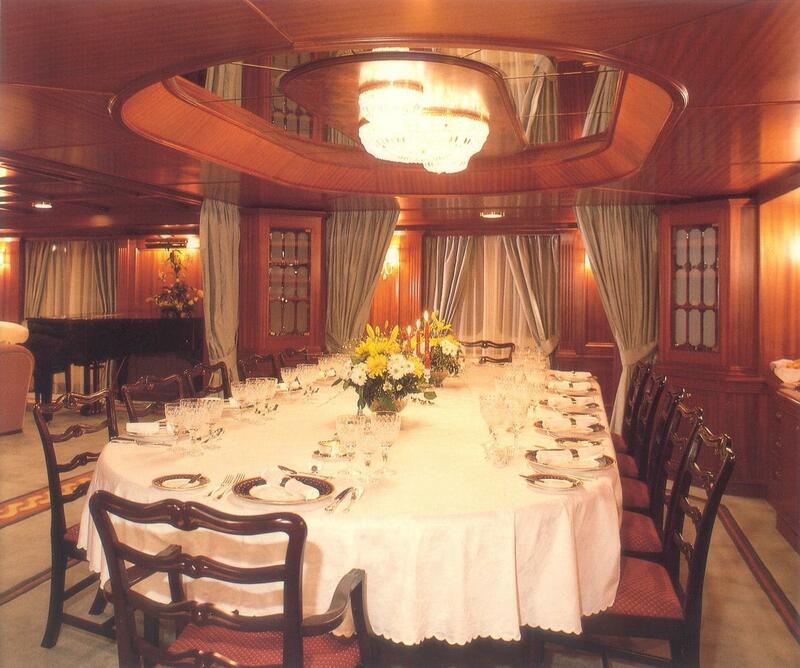 In the upper salon, there is an additional bar and dining area. 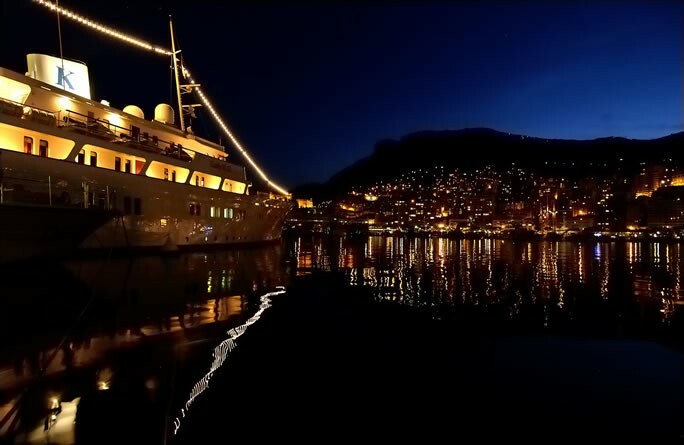 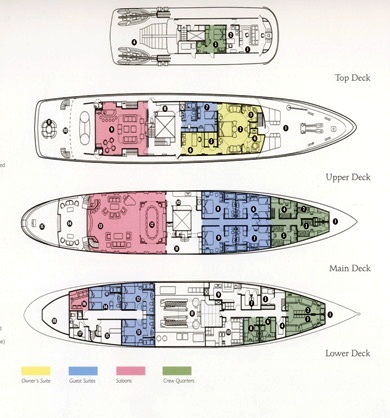 A gymnasium, sauna, beauty salon and a jacuzzi are found on the upper deck. 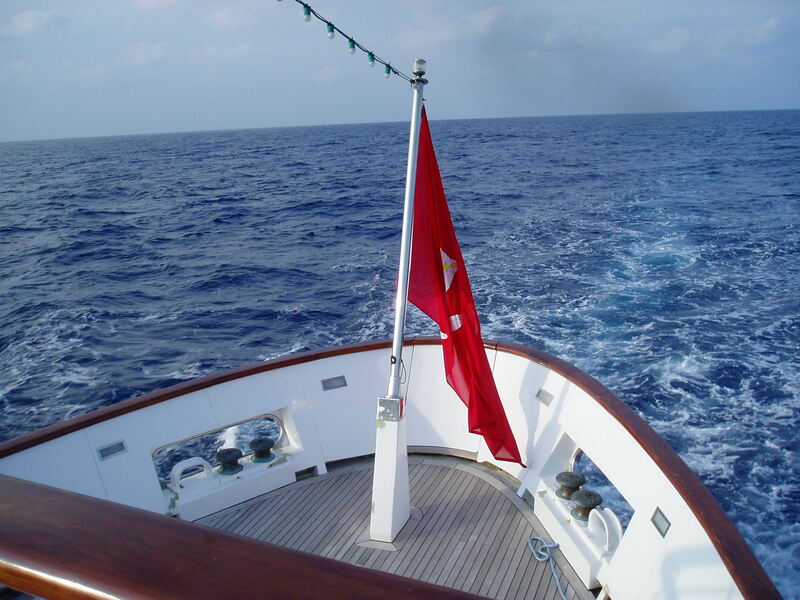 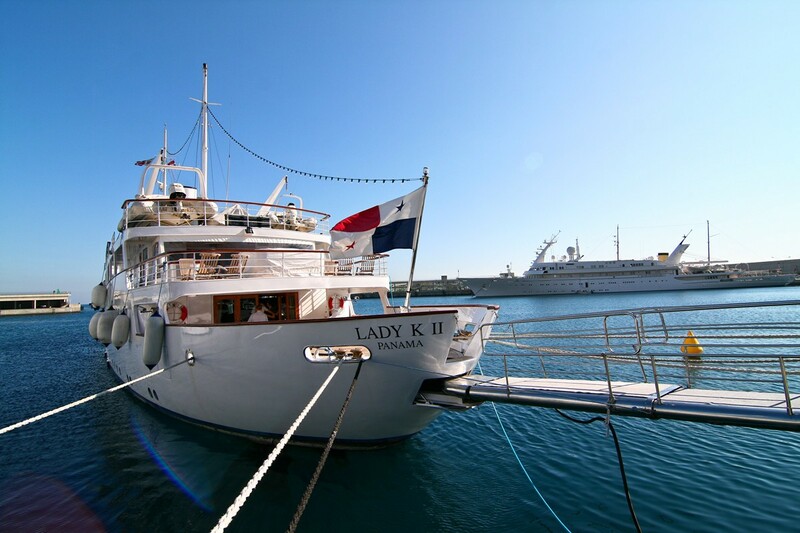 With her steel hull and superstructure, LADY K II cruises at speeds of 14 knots. 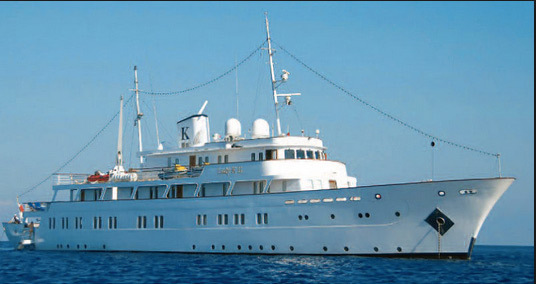 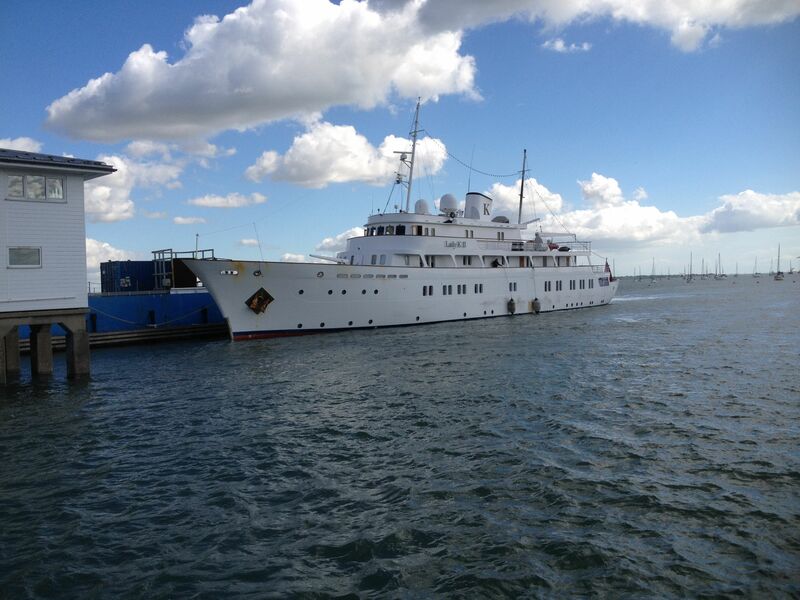 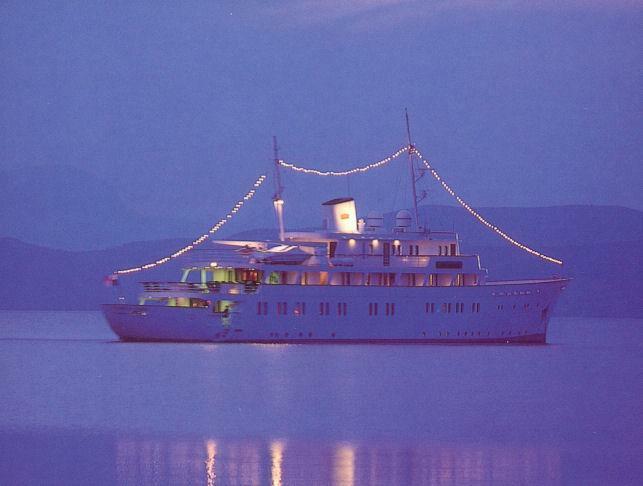 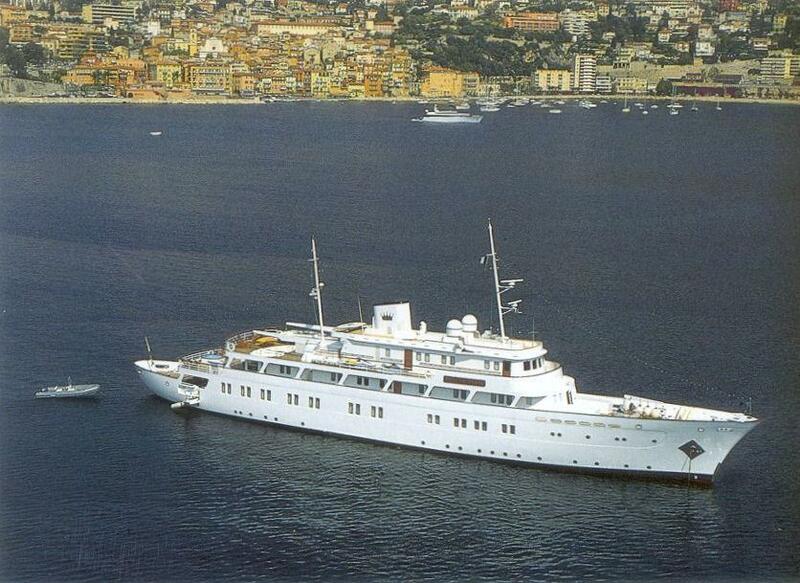 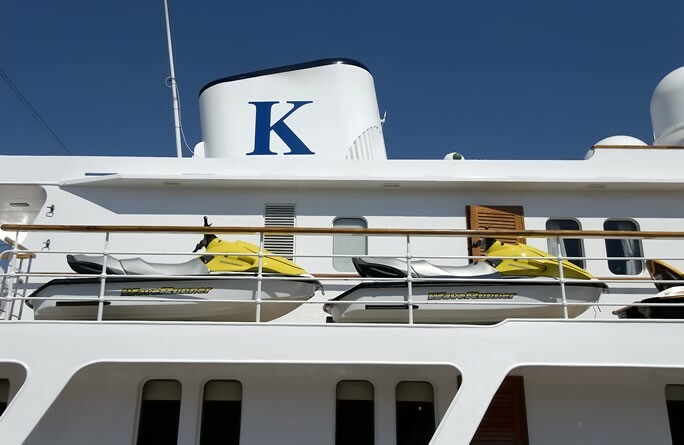 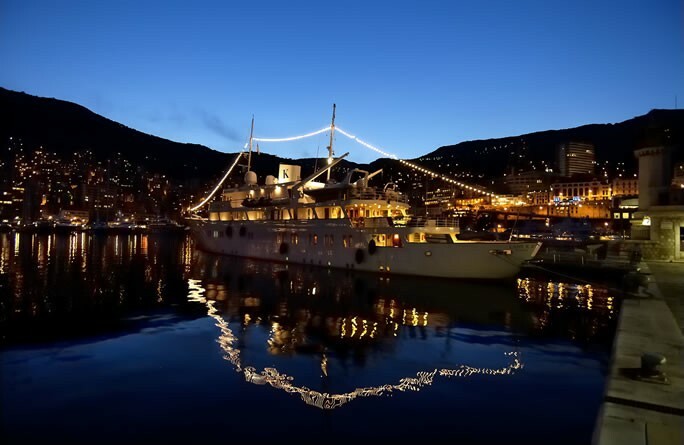 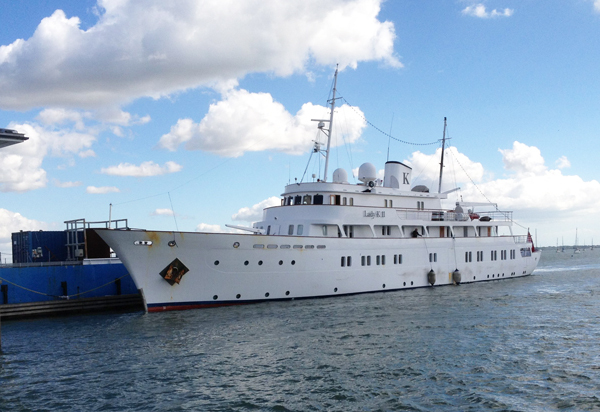 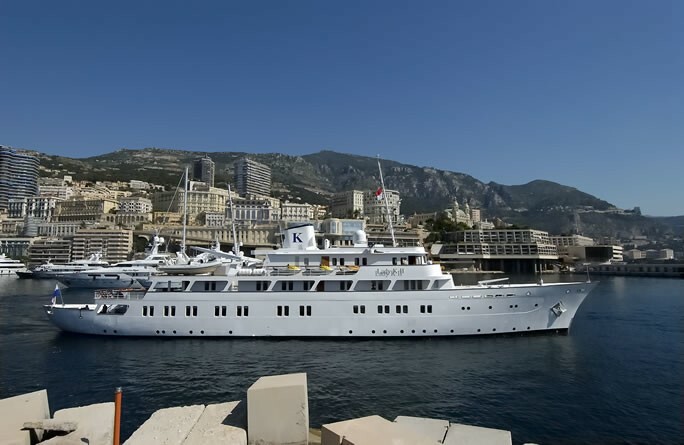 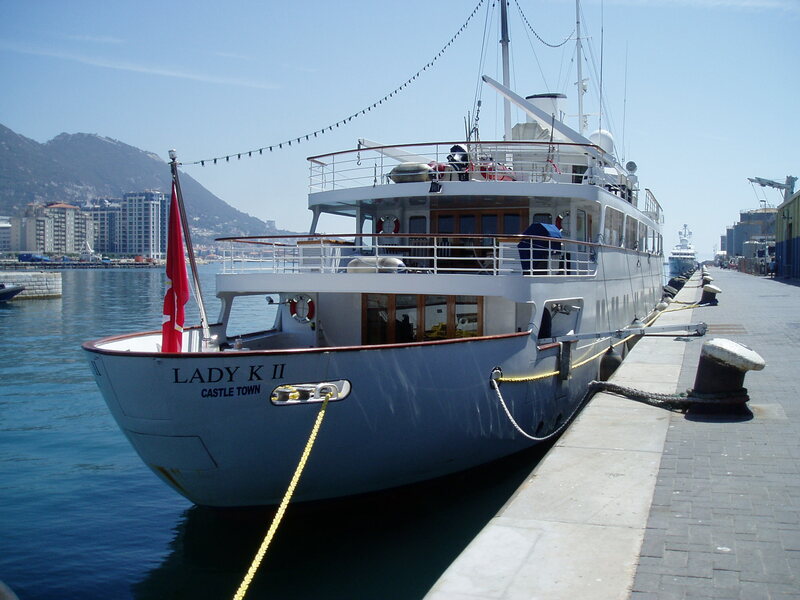 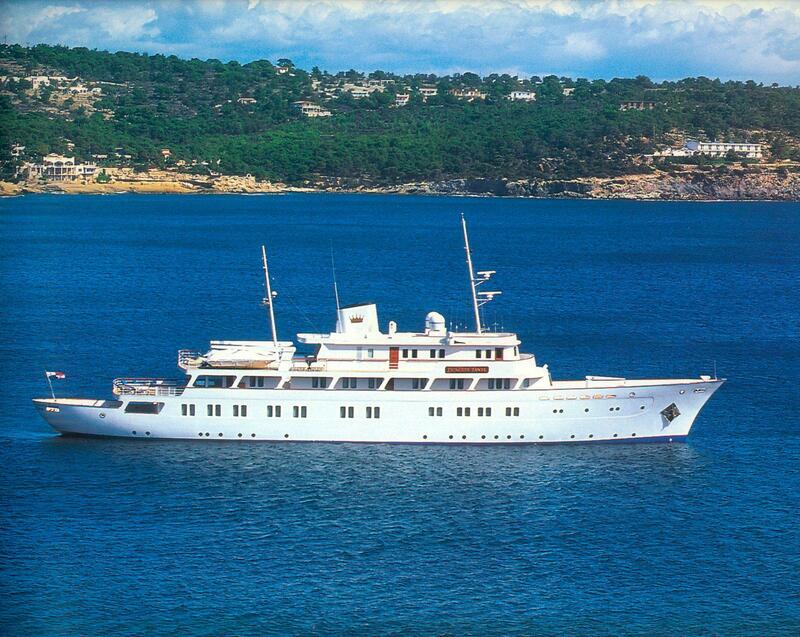 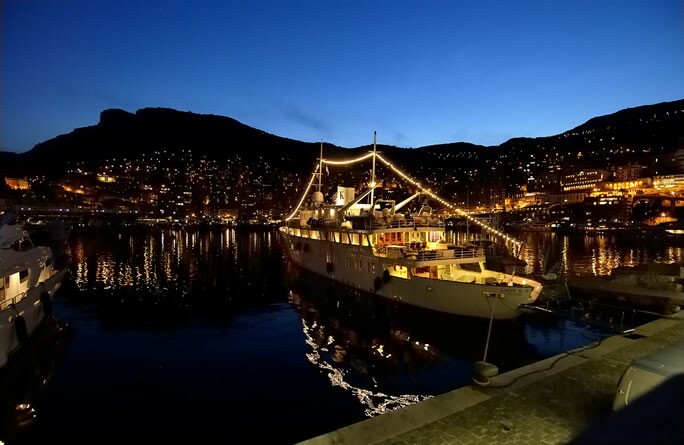 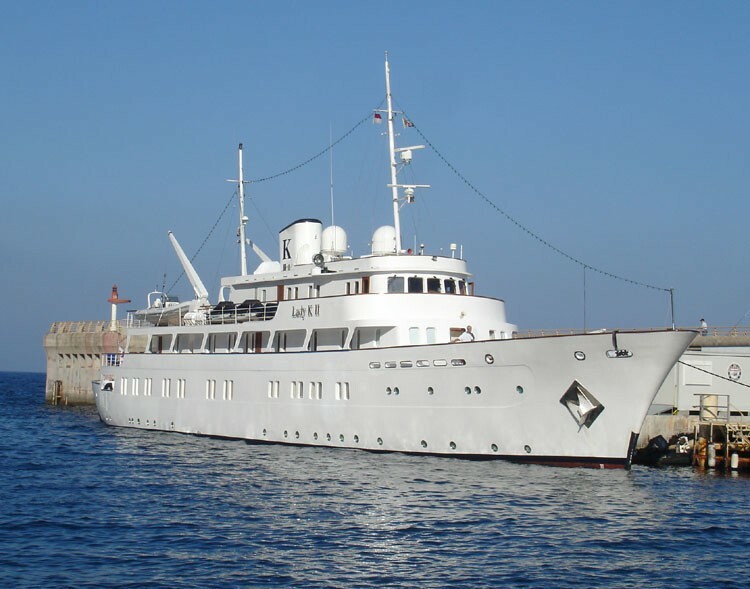 LADY K II has accommodation for a total eighteen in nine staterooms. 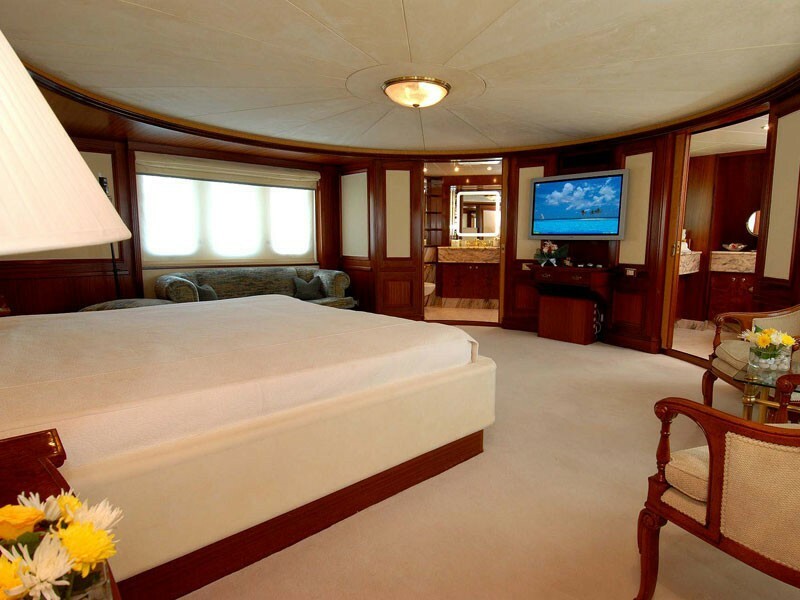 The full-width master suite is on the upper deck and has a study, dressing room, separate shower room and Spa Pool bathroom. 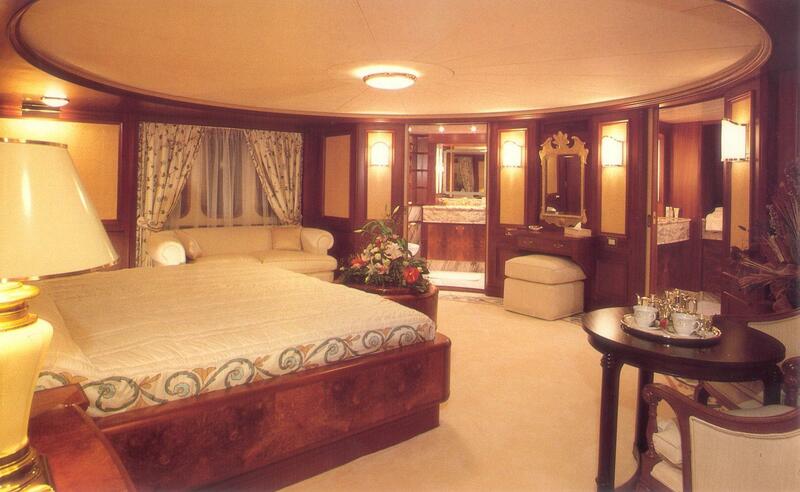 There is a twin guest suite on the upper deck with an ensuite bathroom. 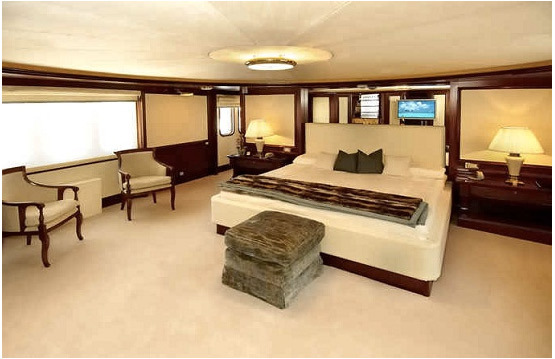 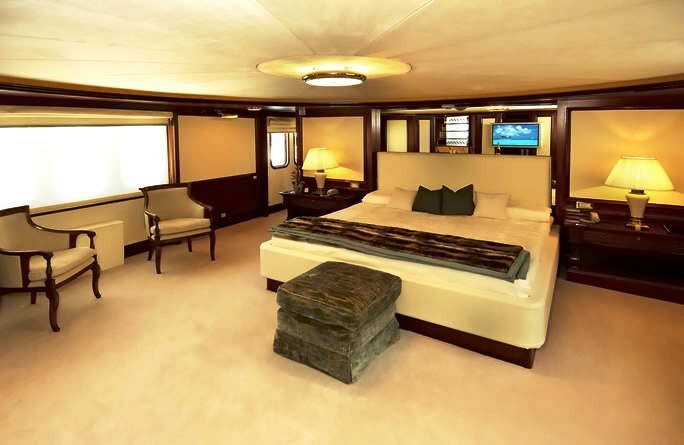 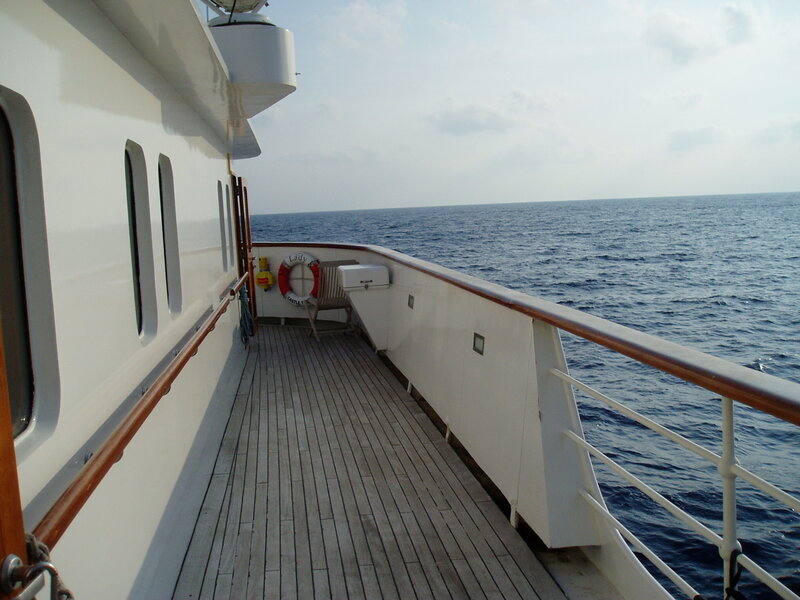 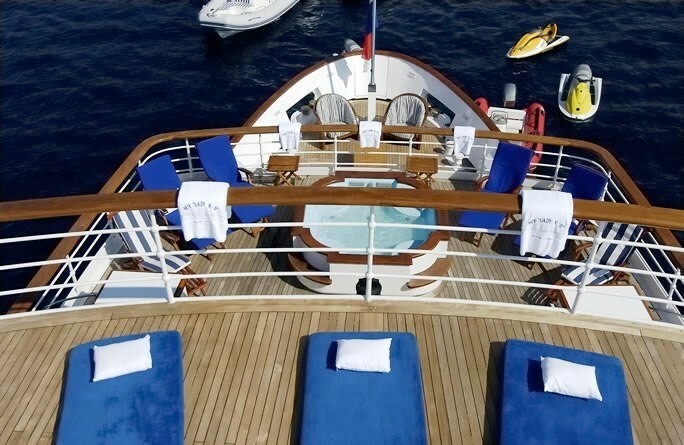 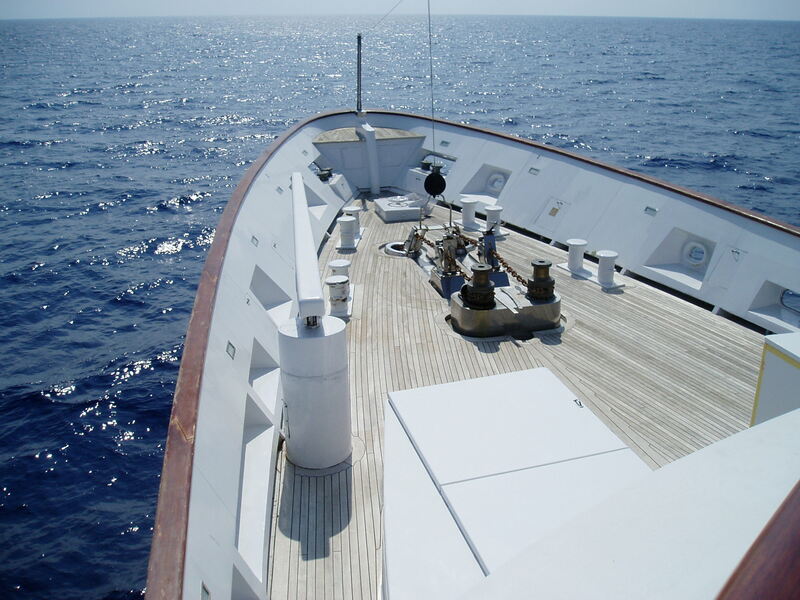 Two double-bedded and two twin-bedded staterooms with en suite bathrooms are on the main deck. 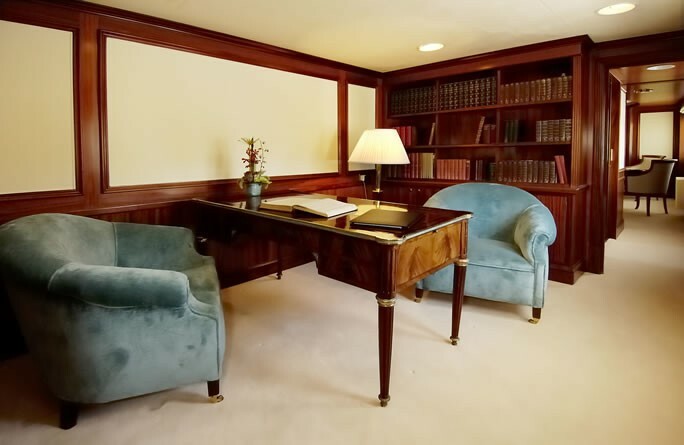 Additional accommodation is available for staff. 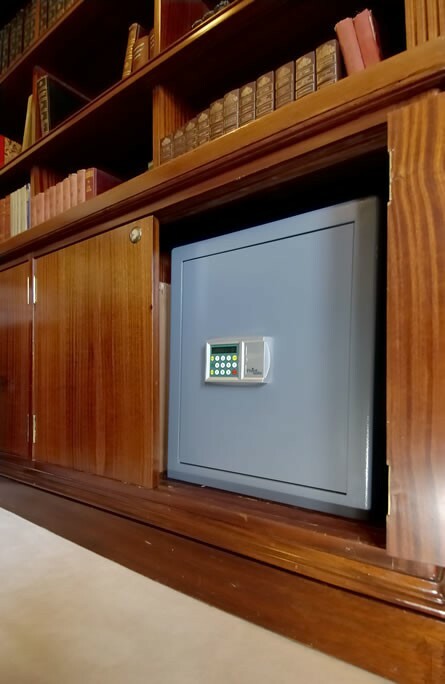 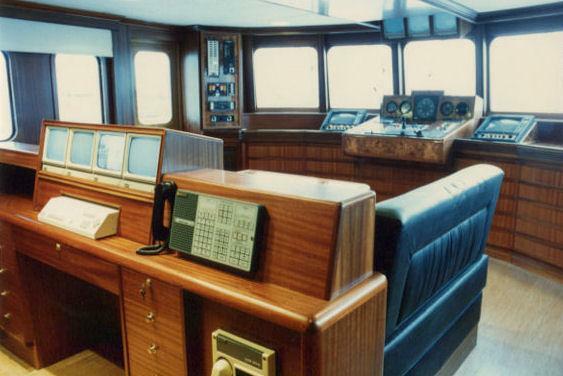 COMMUNICATION EQUIPMENT INCLUDES: Two Satellite Communications (Phone, fax, email and internet), Cellular phone. 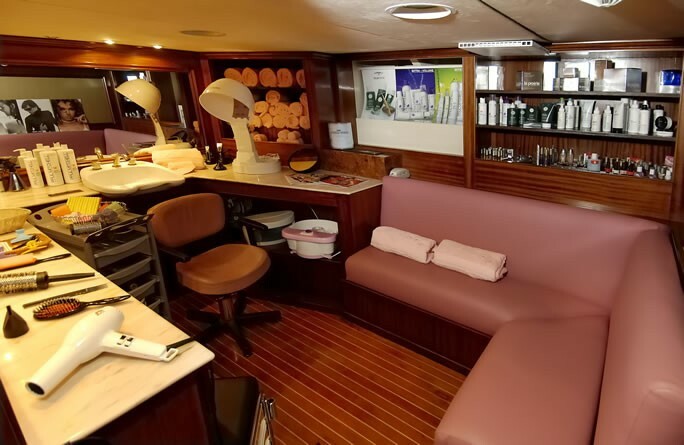 WATER TOYS AND ENTERTAINMENT FACILITES INCLUDE: 20Ft (6.1m) Chaparral tender with Mercruiser 190 h.p. 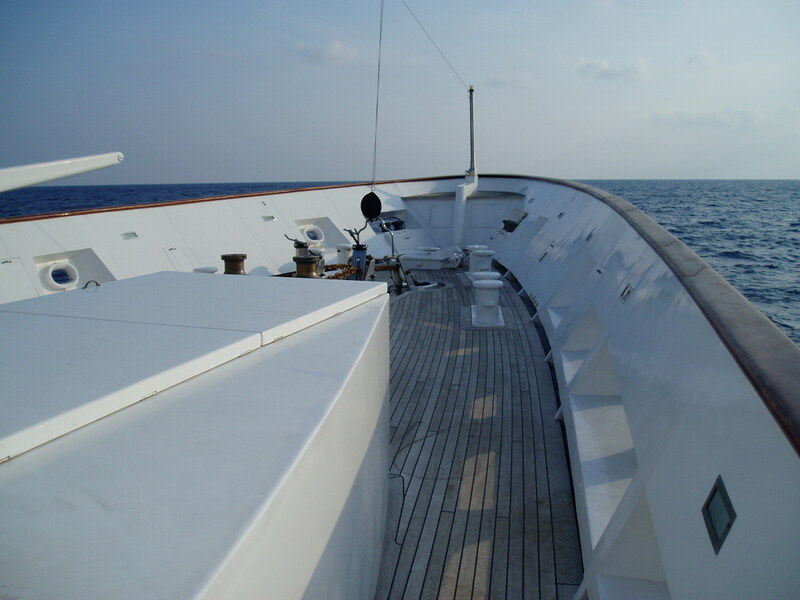 I/B, 18Ft (5.48m) Novurania with Yamaha 150 h.p. 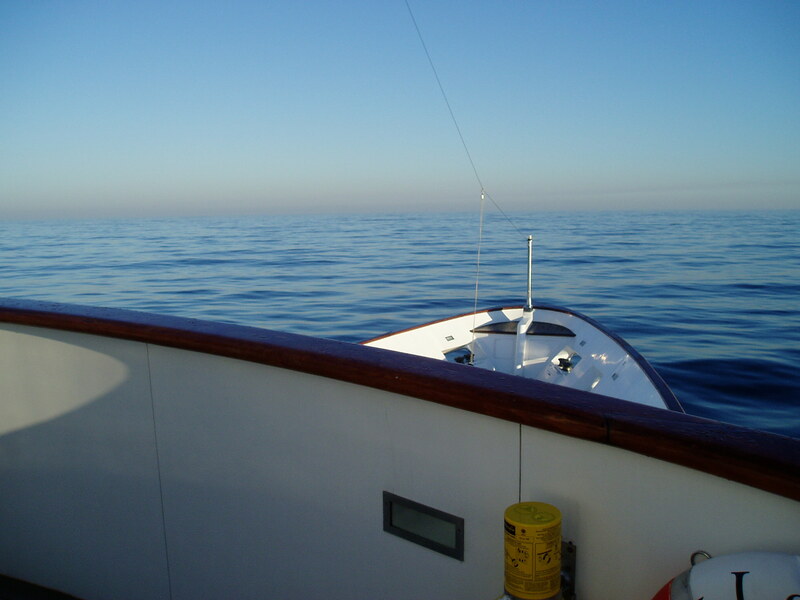 O/B, 11.5Ft (3.5m) Zodiac with Yamaha 70 h.p. 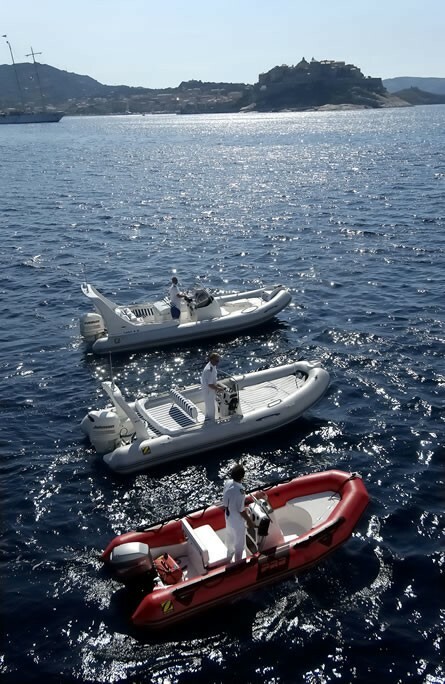 O/B, Yamaha GP 760 waverunner, Three Sea Doo GS waverunners, Two windsurfers, Water-skis and tows, Snorkelling gear, Gym equipment, Sauna, Spa Pool, Piano, Satellite TV, TV/VCR throughout, Airconditioning, Stabilizers, Watermakers.